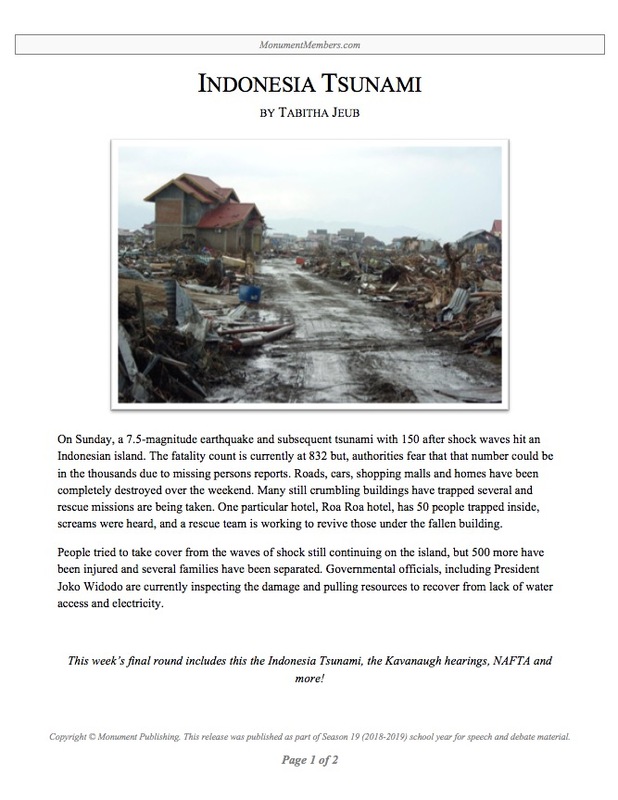 On Sunday, a 7.5-magnitude earthquake and subsequent tsunami with 150 after shock waves hit an Indonesian island. The fatality count is currently at 832 but, authorities fear that that number could be in the thousands due to missing persons reports. Roads, cars, shopping malls and homes have been completely destroyed over the weekend. Many still crumbling buildings have trapped several and rescue missions are being taken. One particular hotel, Roa Roa hotel, has 50 people trapped inside, screams were heard, and a rescue team is working to revive those under the fallen building.